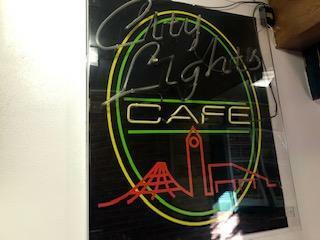 City Lights Cafe is a very fun and engaging job for those who are interested in the idea of cooking, serving others, creating new things, handling money, and many more subjects! We offer 8 different positions that all have specific duties within them. We have beverage workers who focus on memorizing drink recipes, taking orders from wait staff, making the drinks for the customers, and being responsible to clean up after they finish the job. We also have host workers who take and give the orders to the cooks, and take care of the money from the customers when they are ordering their food or drinks. Cook is an important job in the Cafe, as they receive the orders and complete them in time. Cooks are responsible for keeping track of all the completed orders and making sure their space is cleaned up when finished. Dishwasher is a simple but extremely important job in the Cafe. They are responsible for using the three sink rule (clean, rinse, sanitize), make sure all the dishes get done before the next day, and thoroughly clean the area when the main part of the job is done. 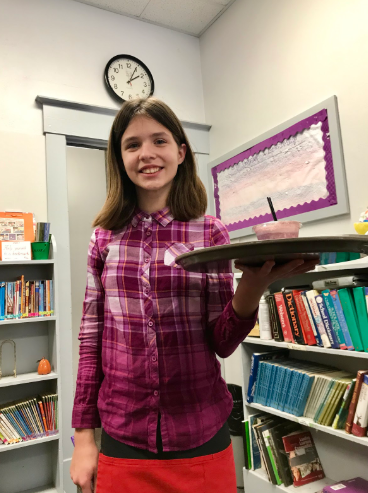 A Busser is an employee whose job is to go around the school to collect plates, and complete other necessary jobs the managers ask to be done. Inventory employees keep track of the items in the snack counter, refrigerator, and freezer. They take down orders for what needs to be restocked before Thursday and make sure the orders are placed on Friday while keeping a copy of the receipt. Floater is a job where if any employees are absent, they fill in for them and also do any other jobs that the managers give them. Wait Staff employees are in charge of going to all of the assigned rooms in a timely fashion and taking the orders and money, and give the money to the cashiers. Cashiers are responsible for receiving the money from customers, getting the amount into the system, taking the till to the office at the end of the day, and communicating with the component leader. If you are interested in any of these positions we would love to have you apply! Cafe is not just a job to have fun and get experience in the food business, it is a job that deals with real money. We look for hard workers who are dedicated to their work and have a passion for the food service industry.